From my perspective, sitting in a cold office looking out at a frozen field where only months ago long, golden corn stalks were rising from the rich, brown dirt, winter has arrived. 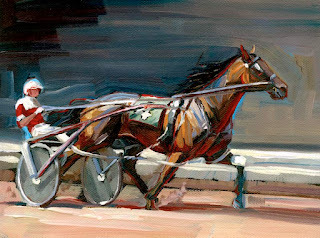 It’s dramatic weather for harness horses; the elements of a wintry climate set up more adversity for the monstrous equines. Though it is an adventure to visit a raceway under the pressure of this season, we are all fortunate to have our connection to TwinSpires to be able to spend other nights watching and wagering in a private space, not having to weather the biting winds or sheets of snow and ice. We can see it all on line and as far as the season’s stakes are concerned we have just about seen it all. 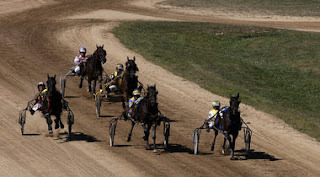 Glamour-boy pacers give one more shot for big money on Sunday at Dover in a Matrons Final. In Canada, pacing sophs that have not played a major role in the division get a shot at some larger purses in th Autumn Stakes Finals. And of course, our personal books are published in these blogs as we continue our Horses to Watch list (H2W). The Autumn Stakes final for soph-filly pacers is at Woodbine on Friday, Nov. 30. Ten, with an also-eligible on hand, go to post for $60,000 total. Getting into the final fray against solid favorites is a filly that fits the Woodbine oval perfectly. Third in an elim last week, The Speed Of Music got started a little too late to get to the top but was wailing in late stretch just the way a lot of longshots like to do at Woodbine in those final hundred or so feet. The speed is on the inside and there doesn’t seem to be an argument against the top three morning-line choices. The Speed Of Music can sensationalize on what could be some shuffling from the top three and be in a grand spot to use her late speed to topple them at a price. The field for the $60,000 soph-colt pacing final has a pair of boys getting into the field from less-than-perfect trips in their elims. Pass The Deuce was charging with a lot of pace late at 13-1 and got to the wire with a close pair. As well, Winbak Carl was ready to charge but became locked in dearly, being robbed of third place by foes in front of him. Set free, he could be the major upset and these two may even share first and second in either position over the obvious public choices. 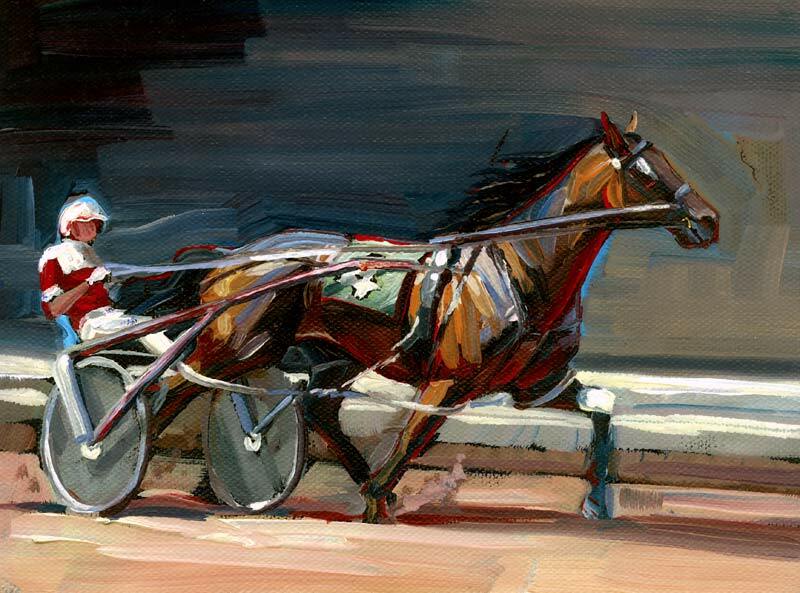 On Dec. 2 Dover Downs features the $176,663 Matron Stakes final for glamour-boy pacers. 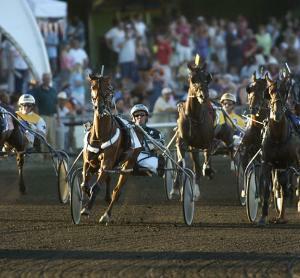 A talented field of eight will go behind the gate in the final major dash for the division. Most of the win betting will go on Heston Blue Chip and Thinking Out Loud, both impressive in last week’s eliminations (although “Heston” lost to Hillbilly Hanover). However, a long-time foe on the far outside poses a major threat for the top choice. Bettor’s Edge made an uncharacteristic move last week, brushing to the lead by the half. He will likely not challenge the leader early as he drew the outside and pace will come from speed-demon Heston. Bettor’s Edge will be somewhere in the middle-pack and should get cover from either Thinking Out Loud or Escape The News. In this scenario, Bettor’s Edge would fan off cover and successfully chase down Heston to win the Matron and keep the divisional champ status as cloudy as it has been for most of the season. Our H2W list was open to the public beginning last week and our files are being updated even as you read this. Again, we offer TwinSpires players some overnighters with the kind of potential we look to find, usually and hopefully accompanied by decent prices. For those of you that missed last week’s recap of the H2W specs, let’s go over them. The H2W list offers horses you may play up to twice if they don’t win the week after appearing on our list and you may wish to play them only if they are a reasonable price; it’s your call on the value. Sometimes a pair of H2W entries will appear in the same race. In the past, this has produced a number of exactas and trifectas; these plays, too, are your call. But the selections are potent, based on our experienced spotters’ evaluations of recent trips. We will report on all the results as each horse on the list races. The legend is simple. We list the track atop the horse’s name, the date it (or they) will be racing and the race where it is (or they are) entered. If a + is in front of a horse’s name, it means that horse is appearing on the list for the second or third time. An ae means the horse is on the also-eligible list and needs a scratch to get into the race. thіos webpage is in fact awesome. I am very comfortable and pleased to come here. If you're looking for private teacher just look at here guru les privat semua mata pelajaran!